Make reading practice fun with this reading comprehension packet, based on Rudyard Kipling's "How the Camel Got His Hump". 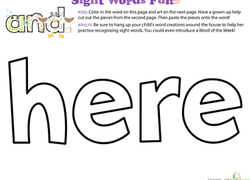 Give your preschooler a head start on reading by helping her memorize the word "here"...by decorating it! 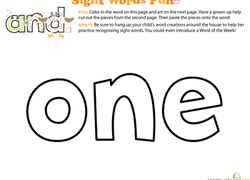 Show your preschooler this unique worksheet: a blend of crafting and reading! This super cute coloring page does double duty as valuable early reading practice. 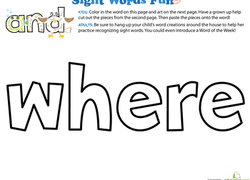 Encourage him to decorate the classic sight word: where. Try a new technique to boost early reading skills with this unique printable. Bring it down to size with this unique blend of crafts and reading! Looking for a fun way to get your preschooler interested in reading? 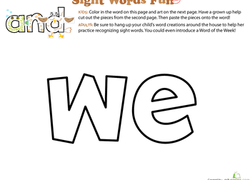 This interactive worksheet might be just what you and your kid need! This makes for a cute piece of art that boosts her reading skills, too! Focus on teaching your preschooler letters to get him started understanding words and eventually reading. Here's a great way to pique your preschooler's interest in reading. 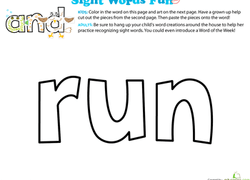 This unique blend of coloring and decorating exposes him to the sight word, "run." With this five-page classic folktale, she'll get to color the illustrations as she hones her reading skills. Give your child a fun, fresh way to practice her reading with this Russian folk tale. 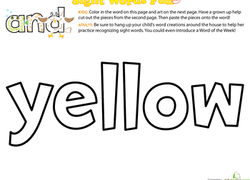 Color the illustrations and practice reading and counting skills too! Your child will love reading this funny story as she colors. 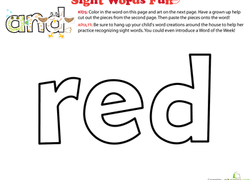 Keep growing those early reading skills with a fun animal words worksheet. Teach your preschooler about the letter R and the fascinating rhinoceros. Help your little reader hone her basic reading comprehension skills with a fun storyboard exercise. Build reading and vocabulary skills with a fun folktale coloring series! She'll color the illustrations and clip the five pages together to make a storybook. Your child will get to color and build her reading skills.